Larkin Poe. Kin. RH Music. Over successive releases there’ve been clues here and there that the Larkin Poe sisters duo ( Rebecca and Megan Lovell) have had a bit of a yearning to cast aside their acoustic beginnings and rock out somewhat. Their set of seasonal themed EPs back in 2011 were primarily acoustic but there were hints of Fleetwood Mac AOR in songs like Fall From The Trees. Thick As Thieves featured some rocking guitar and even a riff on Celebrate while our review of their album recorded with Thom Hell, The Sound Of The Ocean Soundremarked on their pursuit of what we thought was a bland stream of rock tailored for daytime radio. Reviews of their recent July gigs remarked on a rockier approach and this is reflected here. Gone for the most part are the country tinged acoustic songs, instead the emphasis is on Megan’s bluesy lap steel playing amid a highly percussive beat with the sisters’ vocals tougher and more aggressive. The problem is that in the main the songs are dull and repetitive, rock fodder which fails to nourish. There are moments which succeed with the opening song Jailbreak kicking off like something from Tom Petty while the lap steel growls with menace. Stubborn Love floats aloft on sleek guitar lines and the sisters’ excellent harmonising as they briefly abandon their “rock chick” voices and they repeat this on the very fine Crown Of Fire which harks back to earlier recordings. Jesse has all the elements required to make it a live favourite, soaring guitar work and a murder ballad storyline but here the kinks, which would give it some authenticity, are ironed out. Unfortunately these songs are surrounded by the workmanlike rifferrama of songs like Don’t and Sugar High while Elephant is simply embarrassing. It remains to be seen if they pursue this route or having got the rock fever (at least there are no cowbells) out of their system they return to a simpler approach. Marianne Dissard. The Cat. Not Me. Vacilando ’68 Recordings. Fans of Giant Sand and Calexico should need no introduction to French singer and cinema auteur, Marianne Dissard. Director of the Giant Sand flick Drunken Bees and Joey Burns’ femme fatale foil on The Ballad Of Cable Hogue Dissard moved to the States in her teens when her parents relocated eventually putting down roots in Tucson in 1985. Aside from her appearance on Calexico’s albums Joey Burns composed much of the music on her 2008 album L’Entredeux while L’Abandon was a reaction to the breakup of her marriage to Naim Amor, another continental import to the Tucson music scene. Both albums featured Dissard’s odd combination of French “chanson” and dusty Tucson Americana, odd indeed but a sound that reflected the European influences on the likes of Calexico with their Morricone inspired vistas and harked back to the kinship shared by Lee Hazlewood and Serge Gainsbourg, two artists who knew the alchemy of putting a sensual female voice over an impressionistic musical canvas. Pomme lightens the mood somewhat with it’s childlike chorus before Je Ne Savais Pas hoves into view with vituperative lyrics and Gothic drama which would give the late Nico a run for her money. On Torture Dissard updates Serge Gainsbourg’s misanthropy singing “a tunnel with no lights, no smells and I walk barefoot in the mud under vaults that hang down. On the ground, soiled bodies, and cockroaches on the walls and rats that copulate under the drops.” Keyboard, horns and mellotron add to the melodrama. Election soars somewhat with snarly guitar solos and at the end a snapshot of La Marsaillaise on wheezy accordion. Salamandre is Gallic in the extreme, ponderous piano and accordion painting a doomed portrait, a Piaf in existential despair, a glorious and wounded sound that recalls the photographs of Robert Doisneau who captured the dying embers of Parisian decadence. The Lost Generation would dig this, its sensuality and despair as thick as Gauloise smoke. A parting gift from Tucson and a return to European roots The Cat Not Me bridges the divide with a handsome heft of Tucson musicianship and Dissard’s heritage. Now in its fourth year, Glasgow’s No Mean City Festival has seen everyone from Kris Kristofferson and Patti Smith, to Junip and The Black Angels, grace the stage at venues across the city. 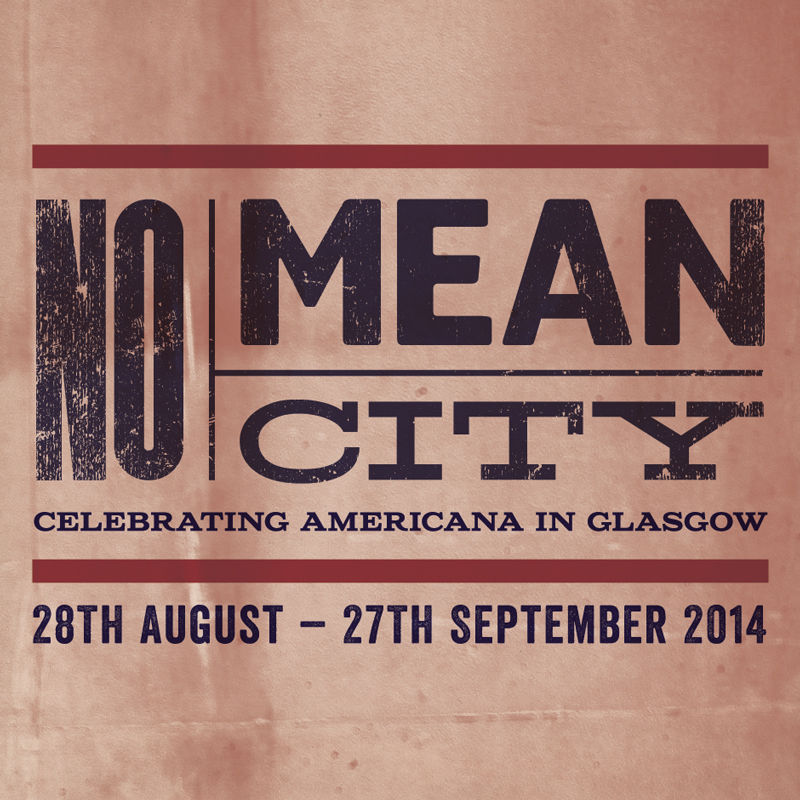 No Mean City brings together some of Scotlands biggest promoters: Regular Music, DF Concerts, Synergy Concerts & Academy Events, to help celebrate Americana in Glasgow. This years NMC takes in Folk, Soul, Psyche & a whole host of sub genres, under Americana’s umbrella and for the first time this year, the festival will also include film. The Felice Brothers started their musical career performing at family barbeques; and have just released their sixth album. Favourite Waitress marks the first time the band ever recorded in a proper studio. Californian guitarist Nick Waterhouse is known for a sounds rooted in rhythm & blues, jazz, and soul. On his latest record, Holly, “he hones a had-edged sound, full of nimble guitar licks, taut melodies and precise rhythm” (Paste Magazine). He cites the movie Chinatown as his main influence for the album, which is an ode to Los Angeles; and dedicated it to screenwriter Robert Towne. St. Paul & The Broken Bones is a seven-piece soul band from Alabama who use vintage technology to recreate a 60s sound. After taking SXSW 2014 by storm, their debut album Half a City went to No.3 in the iTunes Chart. and after winning Best Duo at the BBC Folk Awards 2014, they are very hot property. Former Old Crow Medicine Show member, Willie Watson was once described as “Bob Dylan without the nasal whine or pretention”. his expert banjo and guitar playing will transport the listener to another time. A regular at one of Glasgow’s oldest pubs The Scotia, Frank O’Hagan has become one of the city’s best-loved singers songwriters. He recently supported soul legend Mavis Staples. Incorporating film into the Festival for the first time, there will be a special screening of Nashville (1975) at the GFT on Tuesday 16th September at 6pm. Widely considered as some of Robert Altman’s best work, the film takes a snapshot of people involved in the country music and gospel business in Nashville, Tennessee. Rascals of the country scene, Natural Child ‘Let the Good Times Roll’ with comical lyrics, and a fun laid-back stage show. Indie Media Mag sums the boys up perfectly: “the three-man band blends country, rock and blues to make an elixir to cure all your musical ales (Sic)”. The Urban Voodoo Machine market themselves, accurately, as bourbon soaked gypsy bop ‘n’ stroll. Christian Bland and The Revelators highlights his signature sound and his contribution to one of modern psych-rock’s biggest and best bands. and Penny Black Music dubbed her last album, Back-Road Highways, “THE soul album of the year”. Leeds lads, The Dunwells, describe their sound as a “unique blend of emotionally driven, anthemic rock, featuring four part harmonies”. Their influences vary from Foy Vance and Crowded House, to Fleet Foxes and Elbow. 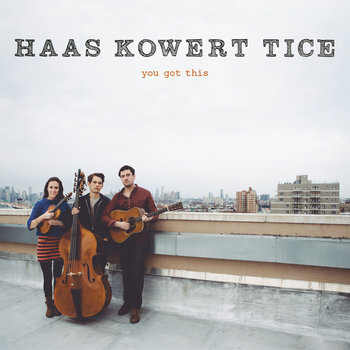 Haas Kowert Tice. you got this. It’s not often that Blabber’n’Smoke reviews instrumental albums. Unlike Jazz, roots music is very much grounded in the human voice, narrative and action. However and especially in string band and bluegrass music instrumentals are vital, showcasing prowess and occasionally virtuosity. The trio of Brittany Haas (fiddle), Paul Kowart (double bass) and Jordan Tice (guitar) have decided that their debut album will be wordless, letting their instruments do the talking and in the end it’s a fine story they tell. Taking time off from their day jobs with Crooked Still (Haas), The Punch Brothers and The David Rawlings Machine (Kowert) and Tony Trischka (Tice) the three have taken a basic country style and added an almost classical sheen to it with the double bass in particular benefiting from the close up sound they achieve as Kowert plucks and more importantly bows his bass giving it equal footing with Haas’ tremendous fiddle playing and Tice’s very nimble fretwork. While Down The Hatch and The Switchback Games are quite traditional in style over the rest of the album the trio play with time signatures, abrupt dynamic and mood changes and season these with dashes of classical influences ranging from impressionistic Debussy like swells and Bartok influenced folk themes. The result is a very pleasing venture that repays repeated listens as different solos or passages capture your attention. Currently The Decade is the stand out tune with its atmospheric feel up there with the best of Ry Cooder’s soundtrack work while Better Off’s almost medieval court guitar curlicues are impressive. 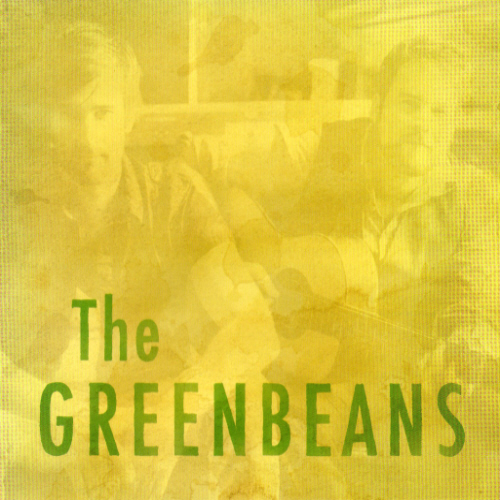 The Greenbeans, a duo from Willsboro in the Adirondack Mountains in upstate New York have in their debut album a disc that is somewhat astonishing in its audacity and bravado. From the kickoff this is a full blooded (and loud) mainly acoustic album that blusters and swaggers with the pair, brothers Vinny and Joe Ferris, proving they have a fine handle on catchy melodic songs while their voices ring loud and clear. They share guitar, banjo and harmonica with the sound fleshed out by Kenny Siegal on bass, lap steel and keyboards, Otto Hauser on drums with Gwen Snyder Siegal and Marco Benevento popping up on accordion and Terence Murren on upright bass. The first thing one notices here is the strong Celtic connection in many of their songs and it turns out that the brothers’ great grandfather was a musician and storyteller in County Leitrim, Ireland and their grandmother only emigrated to the States in 1954 keeping the Irish tradition strong as the boys were growing up. At their best they don’t overly betray their Irish origins but the songs do cleave to what Mike Scott called “the big music” with the best example being the rolling roils of A Happy Life and Celebration Song. However, it’s the opening song, Down The Road, that shows them as capable of snatching The Saw Doctors’ crown as kings of unashamed good time Celtic folk rock while Sword In the Stone has a similar woozy familiarity as some of The Mountain Firework Company’s work. In contrast there’s a preppy pop feel to a couple of the songs on display where the duo deliver well crafted mainstream pop lyrics with a deft sense of hummability. The piano driven That Would Be So Nice is tailor made for radio with its hooks and horn shimmered chorus with an amped up Loving Spoonful feel. Girlfriend From High School attempts the same trick but with less success with the lyrics (and chorus especially) somewhat hackneyed but the delivery is spot on coming across like a Celtic version of Fountains of Wayne. A song begging to be picked up by an American TV show. Overall the brothers have a great calling card as there’s no doubt that the album is packed full of songs waiting to be heard over the airwaves although to avoid being one hit wonders they might need to decide which direction to go in. They could go down a storm with their Celtic influenced shanties in a place like Glasgow’s Barrowlands (listen to All We Want Is Love and imagine the crowd singing and dancing to the chorus) or they could follow the likes of The Avett Brothers and capture the American college audience. For a debut its very promising and it will be interesting to watch their journey. In the meantime they seem like an act that would be great fun live. For most folk the way into Vena Portae (Latin for the portal vein, a vessel which feeds your liver, it’s complicated, look it up) will be via singer Emily Barker who is usually at the helm of The Red Clay Halo. Here she’s teamed up with Dom Coyote, who usually writes for musical theatre, and Sweden’s Ruben Engzell. Together they produce a very nice sound which one would probably file under early folk rock with a dash of country. Recorded in a snowbound homemade studio near Stockholm the album reflects its wintry conception although on occasion there are sunnier moments with dappled guitars and sunny harmonies. Despite its home made origins it’s a full-fledged band album with plenty of instruments in the mix. There are some skeletal moments such as on the banjo led Transatlantic (written by Christian Kjellvander) which is a wonderful and mournful mini epic while Foal reminds one of Alela Diane. There’s a hushed magic on the whispered Solitary Wives while Turning Keys harks back to the glory days of folk rock in the early seventies when Steeleye Span et al discovered amplification. Wonderful thing the internet. One moment you’re writing about Dan Stuart and Antonio Gramienteri and next you’re contacted by an Italian songwriter who’s supported these guys in concert and who wants to send you his album. Blabber’n’Smnoke are an obliging crew so pretty soon Gaetano Di Sarno AKA Guy Littell was spinning in the player and we’re glad we replied to his email. Signore Di Sarno is from South Italy, near Naples and has been writing songs since his early teens. He recalls a Damascene moment when listening to Neil Young’s My My Hey Hey (Out Of The Blue) which led to him deciding to become a musician. After several years playing in various bands he stepped out on his own in 2009 with an EP release. Obviously in thrall to American culture he records under the name Guy Littell, a nod in the direction of Ward Littell, FBI man turned mob lawyer in Ellroy James’s Kennedy assassination novel, American Tabloid. The EP and following album, Later, created waves in the Italian music scene with Littell gaining prized support slots with visiting American acts including Steve Wynn, more of which later. 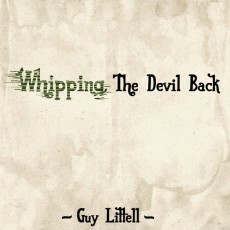 However it’s a hardscrabble world and despite apparent acclaim (according to numerous Google translated reviews and interviews in the Italian music press) Littell has to take a night porter position to make ends meet and it was while doing this that he wrote much of Whipping The Devil Back. The lonely life of a night porter, neon florescence, streaming videos on YouTube, informs a few of the songs on Whipping The Devil Back such as Lonely And Happy Night and Waiting For My shift To Start however the very starkness of the album provokes a sense of isolation and outsiderness. Littell’s high register invariably leads to comparison to Neil Young, one of his avowed heroes, and it’s Young’s fragile and cracked solo efforts of the mid seventies (Will To Love, Motion Pictures, Borrowed Tune) that loom large. With Littell playing guitar and “lonely piano” along with Fernando Farro on occasional electric guitar, synth and drums it’s a stripped down sound that occasionally effervesces with bursts of guitar or is warmed by keyboard support such as on the tender Deep Enough, one of the highlights here. While it’s not a lo fi album per se elements of Mark Linkhous and Will Oldham are present on some of the songs such as Cedar Forest where a lonesome guitar wails and piano drips aimlessly and on the closing song, You Disturb The Light, which is a wonderful wail of a song. Elsewhere Littell jumps headfirst into Neil Young territory with the excellent title song that lopes along in a fine manner with harmonica provided by none other than Steve Wynn.